NATIONAL TRAVEL SYSTEMS acts only as agent in all matters connected with the making and securing of reservations for transportation, accommodations, tours and/or other arrangements for the retail clients of this agency and for various disclosed principals and contractors in the form of airlines, ship lines, tour wholesales, limousine services, and owners or contractors providing accommodations, transportation and/or other services, hereinafter referred to as “suppliers”. NATIONAL TRAVEL SYSTEMS does not own, manage, control or operate any transportation vehicle, hotel, restaurant, insurance company, tour or sightseeing company or any other service that would fit into the classification of “supplier”. As an agent, all coupons, exchange orders, receipts, contracts and tickets issued by NATIONAL TRAVEL SYSTEMS and/or other “supplier” are subject to any and all related tariffs as well as the terms and conditions specified by each “supplier”. The acceptance of such coupons, exchange orders, receipts, contracts and tickets shall be deemed to be consent to the foregoing conditions and also to the further condition that neither NATIONAL TRAVEL SYSTEMS nor any of its representatives shall be or become liable or responsible for any loss, injury or damage to person, property or otherwise in connection with any accommodations, transportation or other services resulting directly or indirectly from any acts of God, including but not limited to dangers incident to the sea, fire, breakdown in machinery or equipment, acts of governments or other authorities, de jure or de facto, wars whether declared or not, hostilities, civil disturbances, strikes, riots, theft pilferage, epidemics, quarantines, medical or customs regulations, defaults, delays or cancellations or changes in itinerary, routing or schedules from any cause beyond the control of NATIONAL TRAVEL SYSTEMS or from any loss or damage resulting from insufficient improperly issued passports, visas or documents and neither NATIONAL TRAVEL SYSTEMS nor any of its representatives shall be liable or responsible for any additional or liability sustained or incurred as a result of the foregoing causes. NATIONAL TRAVEL SYSTEMS is not responsible nor liable for defaults of “supplier” or any other person, company or incorporation not directly under its control. In the case if air, ship, rail, automobile, or other forms of transportation, the passenger contract in use by the provider of such transportation, when issued, shall constitute the sole contract between the passenger and such airline, ship line, railroad, car rental or other company. International — You must reconfirm your continuing or return reservation at least 72 hours prior to flight time at each point of stopover or your reservation will be automatically cancelled. Domestic: 1 hour. International: 2 hours. NOTE: Check-in later than these times could result in denied boarding. 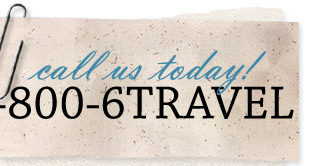 To change or cancel your flight itinerary, call NATIONAL TRAVEL SYSTEMS or the airline you are scheduled to take. Be aware that most special, excursion and discount tickets have various travel restrictions (e.g. Saturday night layover) and may have a penalty for change or cancellation. BE SURE YOU UNDERSTAND THESE RESTRICTIONS! If canceling a refundable ticket, you must return all unused tickets for refund or credit. If you are changing your tickets en route, insist that the airline apply the value of your unused ticket toward the purchase of a new ticket. If a refund is due, obtain a receipt from the airline. If you are holding guaranteed hotel reservations which you may wish to cancel, notify the hotel as soon as possible. You may be responsible for a cancellation fee levied by the hotel/tour operator. Lost, stolen, or destroyed tickets must be paid for until refund is obtained form the issuing airline, subject to an airline imposed service charge. Some airlines will not grant a refund of any sort for lost or stolen tickets. If an airlines/tour operator declares bankruptcy, it is not obligated to carry you or to refund tickets issued before the bankruptcy. NATIONAL TRAVEL SYSTEMS is not allowed to refund for tickets on airlines/tour operators which has declared bankruptcy. Money given to NATIONAL TRAVEL SYSTEMS immediately becomes the property of the airline/tour operators as we are governed by laws and regulations and are forced to comply. If an airline declared bankruptcy, it might continue service or stop completely. Other airlines might accept passengers under limited circumstances or may refuse any passengers from the defaulted carrier. WE RECOMMEND YOU UTILIZE A MAJOR CREDIT CARD WHEN PURCHASING TRAVEL.